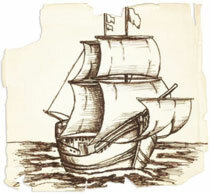 Early American colonists came from a wide variety of backgrounds. They were pilgrims, Separatists, and Puritans who hoped to worship as they pleased. 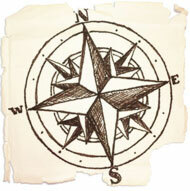 They were adventurers who charted coastlines and mapped inland trails. They were profiteers, with desires to turn sea and soil into prosperity, wealth, and power. Some were indentured servants hoping for a clean slate and a chance at a new life. Some were unwilling migrants—captive Africans taken from their villages by slave traders and brought aboard ships that carried them to a New World. Learn more about these colonial people by clicking the links on the left.